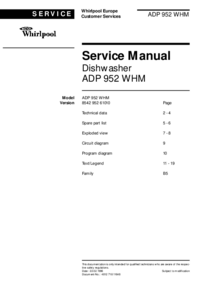 This Reference Manual applies to all FIREBERD 6000 Communications Analyzers incorporating Software Revision L. 1.0 GETTING STARTED 1-1 1.1 DOCUMENT/SECTION SUMMARY ... 1-1 1.2 INSTRUMENT OVERVIEW ... 1-1 1.3 POWER REQUIREMENTS ... 1-2 1.4 GROUND JUMPER ... 1-3 1.5 WARNINGS ... 1-4 1.6 OPERATING CONVENTION ... 1-5 I ? TEst CONFIGURATION ... 1-5 1.8 INSTRUMENT CHECKOUT ... 1-6 1.9 Interface SELECTION ... 1-10 2.0 INSTRUMENT DESCRIPTION ... 2-1 2.1 SECTION SUMMARY ... 2-1 2.2 FUNCTIONAL DESCRIPTION ... 2-1 2.3 SPECIFICATIONS ... 2-2 2.4 FRONT PANEL SWITCHES AND INDICATORS ... 2-9 2.5 REAR PANEL ... 2-98 2.6 PERFORMING ERROR ANALYSIS ... 2-101 2.7 PERFORMING TIMING ANALYSIS ... 2-103 2.8 DELAY MEASUREMENTS ... 2-105 2.9 CONTENTION CONDITIONS ... 2-107 3.0 Printer INTERFACES ... 3-1 3.1 INTRODUCTION ... 3-1 3.2 PRINTOUT CONTROLS AND AUXILIARY FUNCTIONS ... 3-2 4.0 REMOTE CONTROL ... 4-1 4.1 INTRODUCTION ... 4-1 4.2 RS-232 REMOTE CONTROL OPERATION ... 4-1 4.3 IEEE-488 PRINTER/CONTROLLER INTERFACE ... 4-5 4.4 CONVENTIONS ... 4-10 4.5 UNIT CONTENTION ... 4-11 4.6 REMOTE CONTROL COMMANDS ... 4-12 4.7 STATUS REPORTING ... 4-90 4.8 ERROR MESSAGES ... 4-99 5.0 OPTIONS AND ACCESSORIES ... 5-1 5.1 SECTION SUMMARY ... 5-1 5.2 OPTIONS ... 5-1 5.3 ACCESSORIES ... 5-2 5.4 ORDERING INFORMATION ... 5-9 This manual offers detailed information about the Telecommunications Techniques Corporation (TTC) FIREBERD 6000 Communications Analyzer. 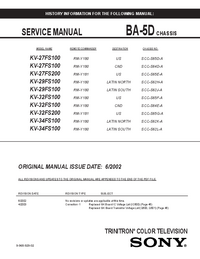 It provides a complete instrument reference, including a general instrument description, operating instructions, and product specifications. 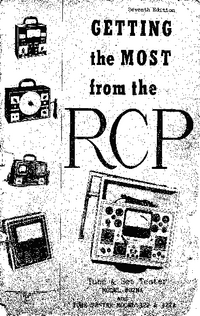 Please note that the information in this manual covers the plastic-case FIREBERD 6000, the metal-case FIREBERD MC6000, and the remote-control-only FIREBERD 6000R. Unless indicated otherwise, the name FIREBERD 6000 applies to all three mainframes. 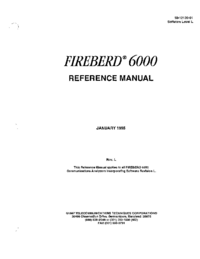 Also note that the information in this manual applies to FIREBERD 6000 Communications Analyzers equipped with revision K Software. Depending on the FIREBERD 6000 hardware configuration, all that may be required to install this latest Software version in your FIREBERD is to remove and replace the EPROM card in the rear panel. The current Software revision can be determined by pressing the MENU switch to illuminate the LED next to the AUXILIARY category. Then press the 4 and 0 keypad keys and press the ENTER key to display the Software version installed in your FIREBERD. Call TTC Customer Service (1-800- 638-2049) to find out about obtaining upgrades for your FIREBERD 6000. Section 1 provides an overview of the FIREBERD 6000, power requirements, line power selection, ground jumper selection, operator warnings, operating convention, instrument checkout, internal RS232 Interface selection, and optional Interface installation. 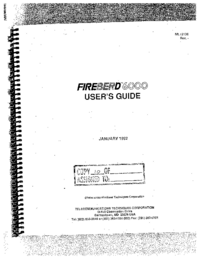 The FIREBERD 6000 User's Guide is designed for all users of the FIREBERD 6000 Communications Analyzer. It serves to describe how the instrument is set up in a variety of applications and interfaces, including: RS-232-C/V.24 (built in) • V.35 (Model 40202) RS-449/V. 10, V.l 1 (Model 40200) RS-449/530/MIL (Model 41400) • DDS Local Loop (Mode! 4! 131) • DDS DS0A/B (Mode! 30678) DS1 /T 1 /D4/ESF/SLC-96 (Model 40540) T1/FT1 (Model 41440) DS3 (Model 41945) CCITT G.703 64 kb/s (Model 30608) • CCITT G.704 2048 kb/s (Model 30609) • CCITT Fractional 2048 kb/s^Model 41800) This document won’t tell you everything about the FIREBERD 6000; the instrument’s features and capabilities are fully described in the FIREBERD 6000 Reference Manual. But if you require quick access to step-by-step set-up procedures, you’ll find the FIREBERD 6000 User's Guide a handy tool.